Healthy living is important at any age, especially for seniors. 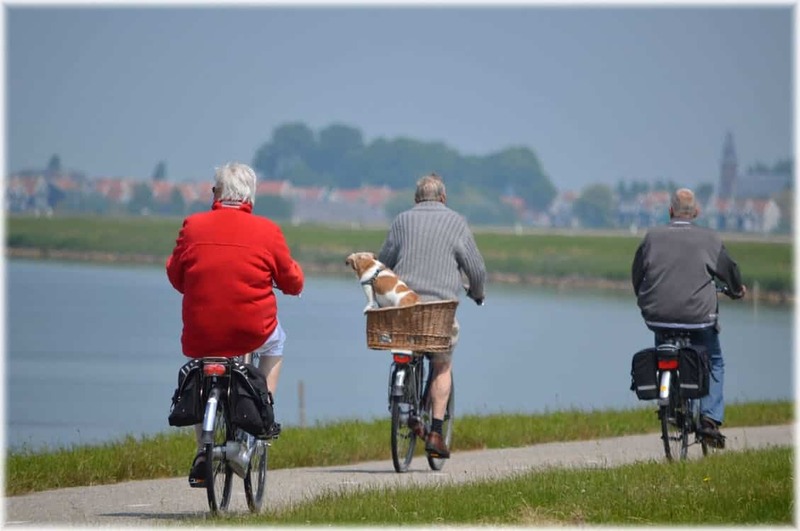 An active lifestyle promotes emotional, mental and physical happiness in aging adults. Seniors in residential care facilities are often exposed to different activities. Seniors who have been active for most of their adult lives tend to maintain a healthy routine. But it may be difficult for a senior to be active if they’ve been sedentary for a long time. Staying active should be fun and rewarding. It’s never too late to begin an active regimen. There are many reasons for seniors to get active. • Maintain Healthy Weight – as you age, metabolism slows down. This makes it challenging to stay at a healthy weight. Staying active helps to speed up that metabolism, as well as burn extra calories. • Better Sleep – who doesn’t enjoy a good night’s sleep? Increased physical activity motivates a healthy sleep pattern. Seniors awake with more energy than ever after a sound sleep. A health night of sleep is beneficial for healthy living. • Encourages self-confidence – endorphins produced by staying active reduce anxiety or depression. The absence of these mood killers helps seniors to feel more confident and outgoing. • Decrease the risk of chronic illnesses – an active lifestyle is a great tool to decrease the risk of acquiring heart disease, diabetes or a stroke. It may sound easy, but after retirement, it can be difficult to do anything that doesn’t equate to relaxation. Broadview Residential Care Center aids seniors of all ages. They know first-hand the challenges aging adults face in trying to remain active. Here are a few tips to motivate the senior in your life to get moving. • Start Slow – if you are not an active person, begin with low-impact activities. A brisk walk around the neighborhood or a community center has a positive impact. Swimming is relaxing and good for the body. This is an activity that most seniors enjoy. • Take a Friend – it is easier to stay active with a partner. Walking and other physical activities are more enjoyable when done with a friend. It helps time to pass and keeps your mind off what you’re doing. • Make it Fun – create a competition with other seniors in your area. Start walking challenges or enter fitness contests designed for seniors. Add music to the routine of choice to spice up any activity. An active lifestyle can help seniors live longer and healthier lives. The level of activity is dependent upon the capability of the senior. Always get the approval of your physician before beginning any exercise regimen. Seniors who lead active lives enjoy their retirement years to the fullest. Broadview Residential Care Center provides activities to help seniors stay active each day. Contact us at (818) 246-4951 for a schedule of activities that you may enjoy.